The Sputtering targets made out of high purity platinum specially 99.99% and with highly polished surface area, the surface area are mirror polished and you can see the reflections in it. You see the same from the image attached. The targets are also available in very pure Silver metal and gold metal for watch industries. We have gained recognition as an eminent enterprise, devotedly engaged in offering a broad range of Sputtering Target. - Used to create thin films in sputter deposition or thin film deposition. Molybdenum coatings are the crucial components of the thin-film transistors used in TFT-LCD screens. These provide instantaneous control of the individual image dots (pixels) and consequently ensure particularly sharp image quality. Molybdenum layers are also used as back contacts in CIGS solar cells. We are counted among the well-reputed entity for providing an extensive range of Sputtering Targets to our esteemed patrons. We are instrumental in offering a broad spectrum of Sputtering.These Sputtering Targets are made up of finest quality material and advance technology. These Sputtering Targets are corrosion resistant which attracts the clients most. Titanium Ti target is widely used in Multi-arc ion or Magnetron Sputtering PVD vacuum coating industry for decorative PVD coating or functional coating, we can provide you different purity according to your different requirements. We can also provide: TiAl, Cr, Ti, Zr, Al, Ni, Cu, TiO2, and other targets. 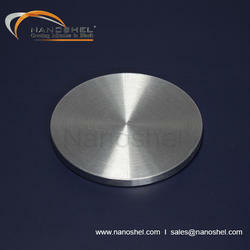 We are highly acclaimed as suppliers of Sputtering Targets & Crystals. Our products are known for better service lives and we are providing a full line of sputtering targets with various components from industrial grade to super high purity. Being a quality-centric organization of this industry, we are engaged in providing a wide array of Sputtering Target. Metal sputtering targets are available for all sputter coaters that we currently manufacture, as well as for previous models manufactured with the brand names emscope, emitech, polaron, bio-rad, fisons Instruments and thermo VG. You can search our shop for the sputter target(s) you require, listed according to metal type. VEM has sputtering targets available in all sizes and dimensions, pre-manufactured to frequently requested dimensions.To view our complete sputter target materials list, click here. We provide sputtering targets to meet customers' needs, including absorber layer, as well as transparent conductive layer and electrode layer. 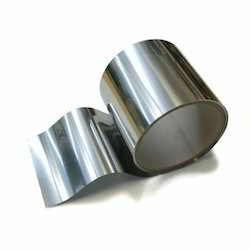 We are instrumental in offering a broad spectrum of Sputtering. These Sputtering Targets are made up of finest quality material and advance technology. These Sputtering Targets are corrosion resistant which attracts the clients most.